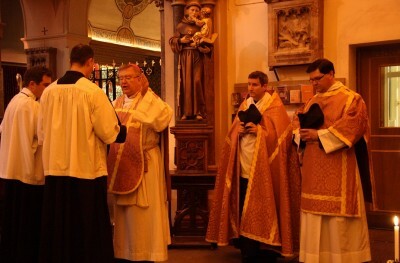 At the beginning of the High Mass on the third Sunday of Advent, Gaudete Sunday, Bishop William Kenney, C.P. 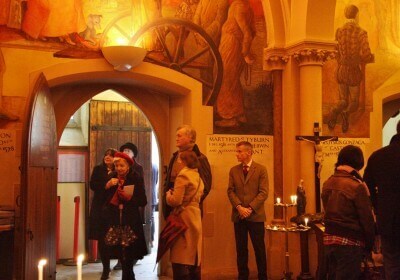 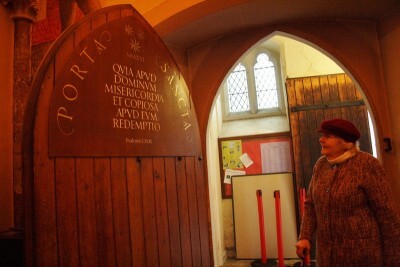 came to bless and open our Jubilee Holy Door. 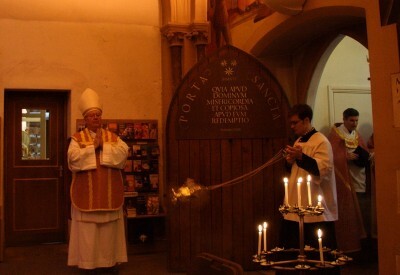 The Mass began at the back of church (a seasonal drizzle preventing us from all being outside) with the call to repentance and to experience God's infinite mercy. 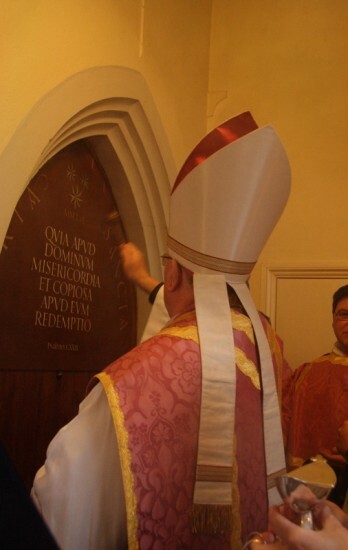 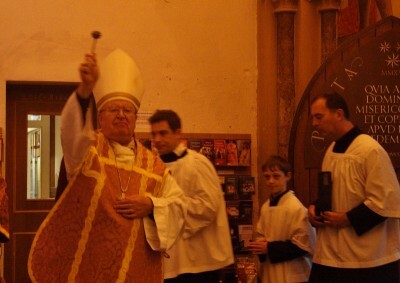 The Bishop blessed the door. 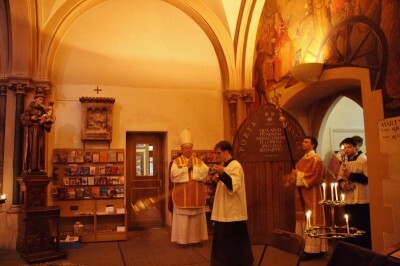 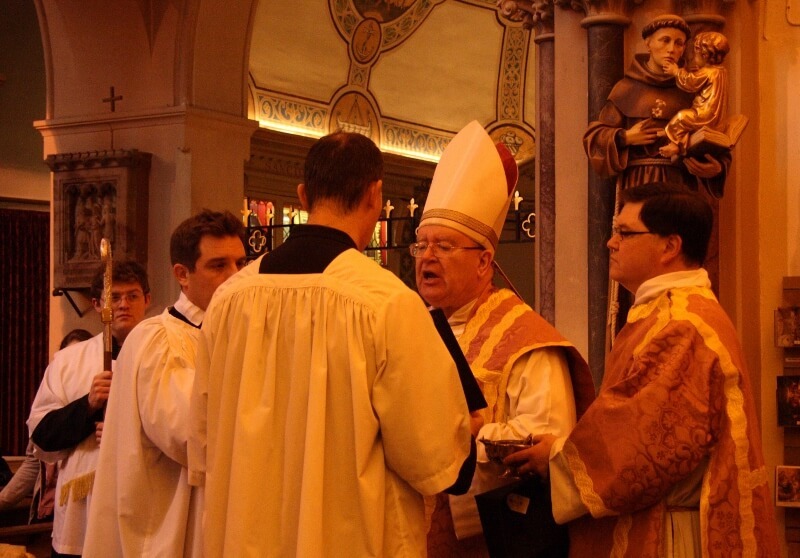 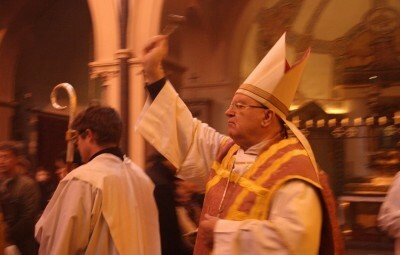 Bishop Kenney then opened the door and passed through it, followed by the servers and clergy. 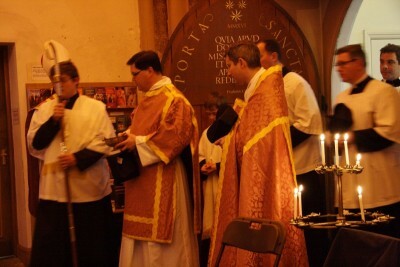 The people were sprinkled with Holy Water during the Asperges. After Mass, the faithful had the opportunity to pass through the Holy Door, so as to gain the Plenary Indulgence. 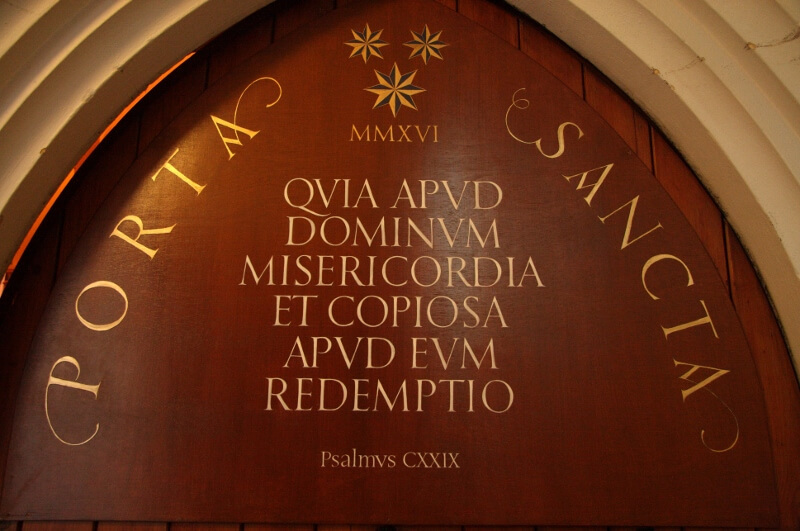 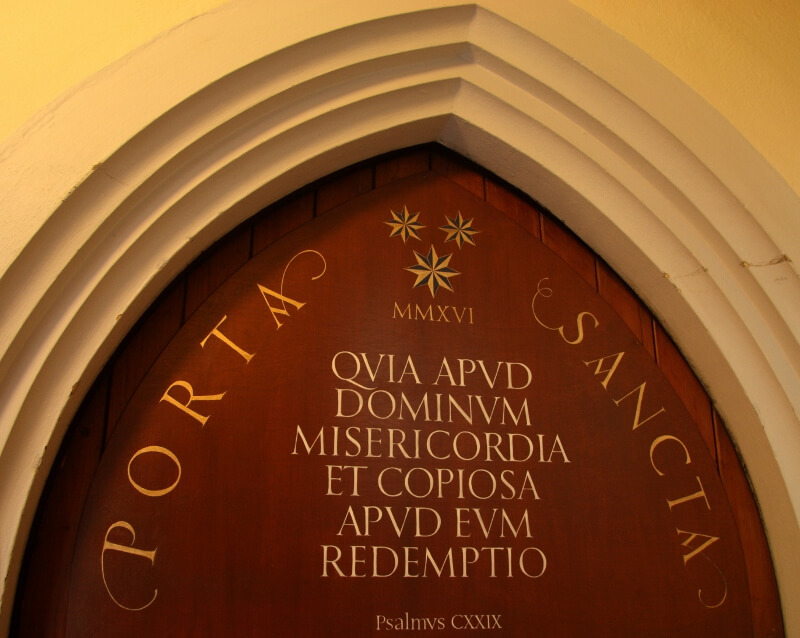 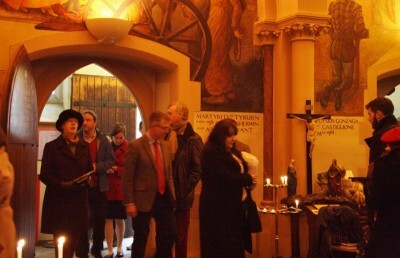 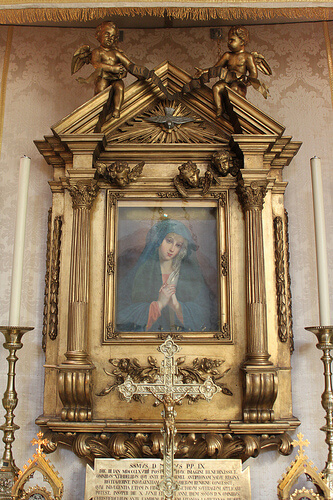 During the Year of Mercy, the Holy Door will be open before all Sunday Masses, and there will be a procession through it at the weekly Saturday ten o'clock Pilgrimage Mass, in honour of Our Lady of Oxford, Mother of Mercy.